Shadows on the Grave Afterword #7: "The Switch!" Shadows on the Grave Afterword #8: "The Final Plot"
Keywords: Mag the Hag. Graveyard. House. End. Synopsis: Angie and her lover Lyle burry her husband. Comment: A sweet ending for the series. Special: Actually this story was drawn in 2014. Then it was called "A Little Plot! ", and the story was slightly different. 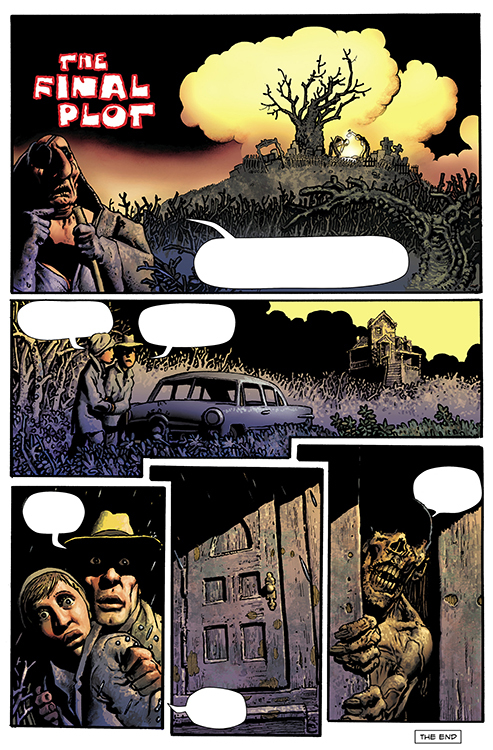 It was one of the early versions of stories for - then - comic book Stench on the Grave. 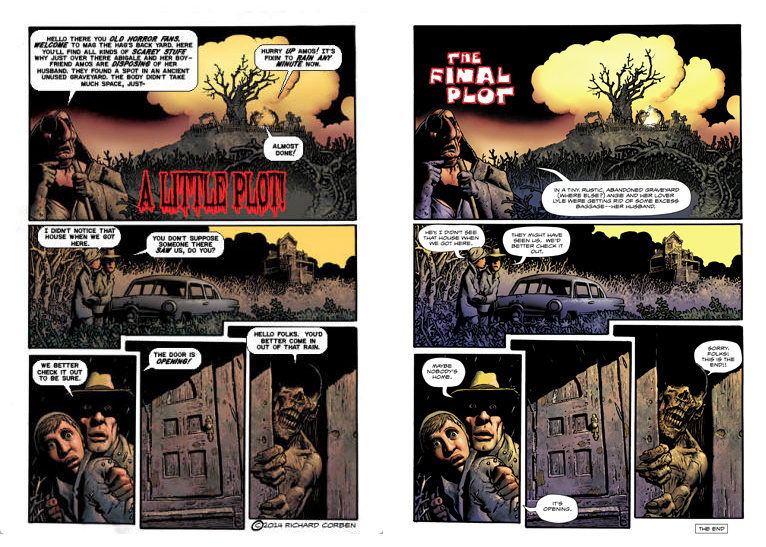 Mr. Corben presented some sample page on his web site with text, "I've always loved horror comics dating way back to the fifties when the E. C.s were about the best horror comics you could find. I've been told that anthology series, especialy horror anthology series don't sell well. This may not stop me but it is something I should consider before jumping into a project like this." Created: September 22, 2017. Modified: September 30, 2017.